ClassicArabia.com - Our Blog: Second Season, Second Race, Second Podium! Second Season, Second Race, Second Podium! Sounds like a great start to the season for ClassicArabia Racing. 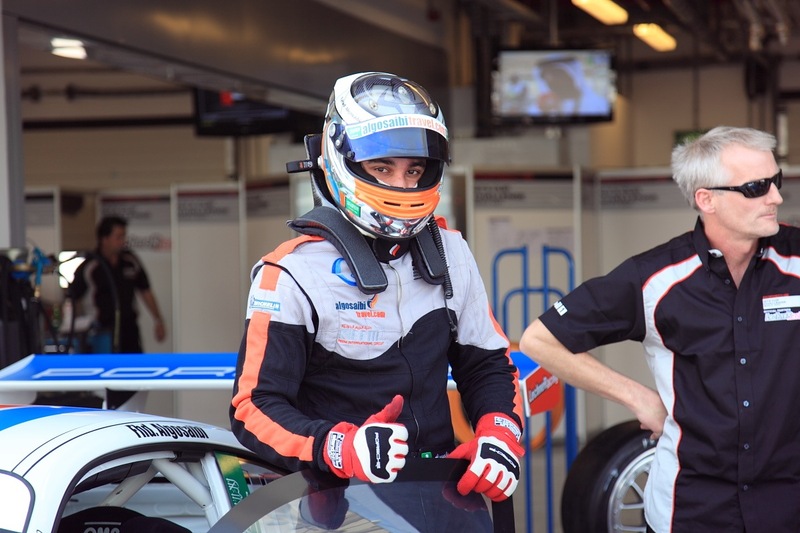 Indeed it was, especially for our young driver Fahad, who set the world record for the youngest driver ever winning in the Porsche Cup Series last season. It all started on the F1 weekend in Abu Dhabi last month. 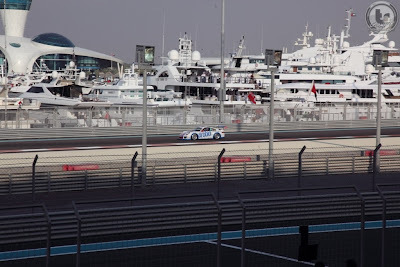 Argued as the best date on the formula one racing calendar, the Yas Marina Circuit was even more glamorous this year. How can you even start to explain it? 7.45 am, the drivers gather for their first briefing of the season, they can feel it, they're on their toes. They just want to get out there to start their very first practice session since march. Perhaps knowing they'll race on the same day as the biggest racing event on the planet got to them, but who wouldn't! 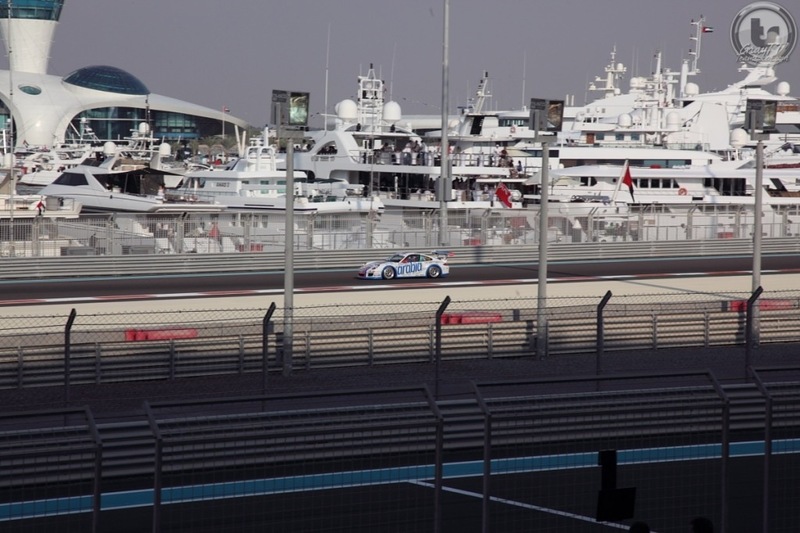 Two competitive races in Abu Dhabi saw Sheikh Salman take pole on the first race and defending champion Prince Abdul Aziz take pole on the second race of the weekend. 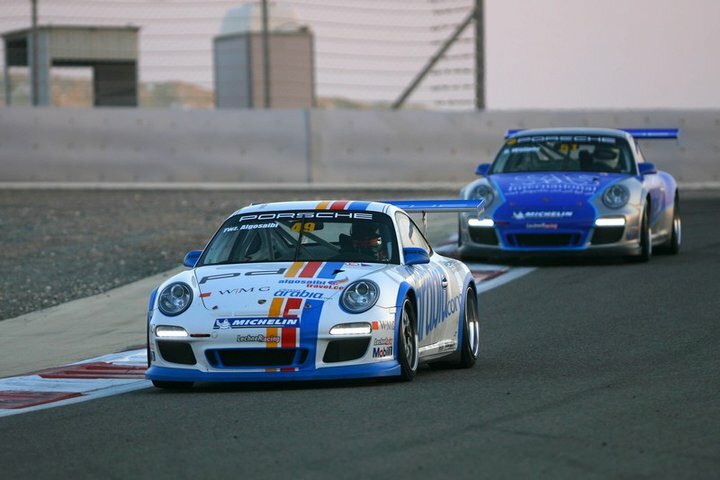 The drivers drivers return for the second racing weekend at the Bahrain International Circuit. The drivers look more relaxed and in tune, as they hop into their magnificent 2011 Porsche GT3's to start their practice and qualifying sessions. You know it's close competition when timings are very tight, in fact they were so close that the first six drivers times were only a fraction of a second apart. ClassicArabia Racing driver Fahad comes in third place just after Sheikh Salman and Prince Abdulaziz. Race starts with a roar of these car's engines, flying through the straight and onto the first turn. Fahad edges closer but can't find the gap through. Sheer persistence and excellent aggressive driving from both Sheikh Salman and Fahad saw them overtake the lead from Prince Abdulaziz after only a few laps from the start. Staying in the lead throughout the race Sheikh Salman takes pole position and Fahad comes in second. Fantastic racing thus far, now we wait for rounds 5 and 6 in Riyadh on January 19-20 where the battle heats up all over again. ClassicArabia.com is proud sponsor of the ClassicArabia Racing Porsche GT3 Cup Team. Thank you for reading and help us share this article!